After I spray painted it. 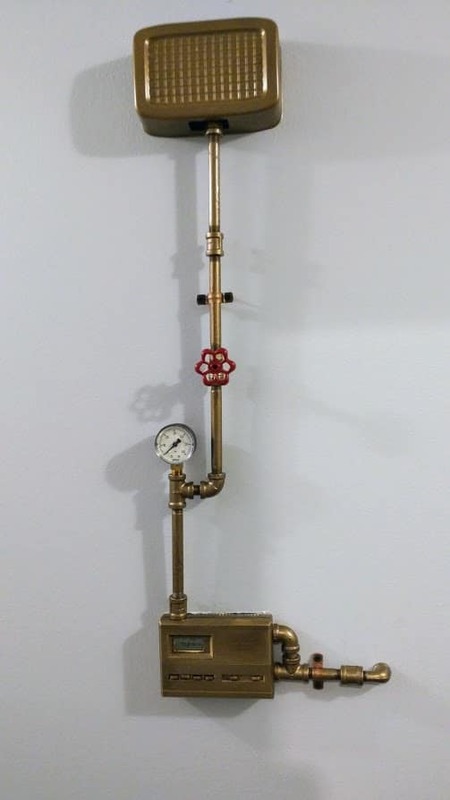 My husband conneted those two with small pipes to give a kind of steam punkish look. As we both are so much into steam punkish style… It started to like like a one piece now as opposed to two boxed on the wall.